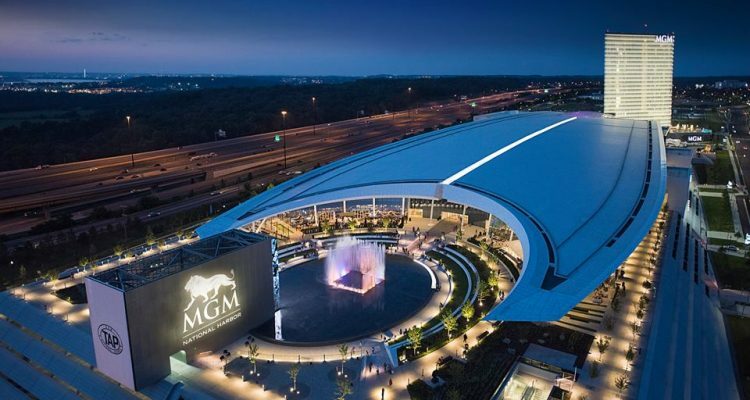 Last year marked the first full year that MGM Resorts International venue National Harbor was in operation. The casino opened in December 2016 and in 2017, dominated Maryland‘s casino industry. The venue continued to help the state push past the $100m mark in monthly earnings in a major way and in December, set a new record revenue amount for operations. On Friday, the Maryland Lottery and Gaming agency released the December 2017 figures which showed the six operating casinos of the state earned $141 million for the month. December was almost a record month for the industry as it was just short of beating the highest earning month of the year, March, when the casinos generated $141.2 million. December’s totals were up 5.7% when compared to the same month in 2016, overall. Breaking down the numbers by casino, National Harbor earned $56.6 million. This is a new record for the casino, pushing far past its previous record set in August of $52.9 million. Slots were up a whopping 19% with $29 million earned while table games were up ever more, earning $27.6 million, a 57% increase from last December. Coming in second for December was the Live! Casino & Hotel. The casino earned $47.2 million. This amount is solid but is 1.7% less than December 2016, as the casino was the top earner for the majority of 2016. Live! held the number one spot for quite some time, but since opening, the National Harbor has held the top spot continually. The only time last year the casino was not number one was in February. The Horseshoe Casino Baltimore dropped almost 20% for December, earning a little less than $24 million. The decline was due to double-digit declines in table games and slots. Hollywood Casino Perryville was also down, earning $5.7 million for December, a 9% decline. Ocean Downs saw a decline as well, with $3.75 million in earnings, a 9% decrease. Rocky Gap was able to see an increase in earnings for December, coming in at $3.79 million, a 6.8% increase from the year prior.